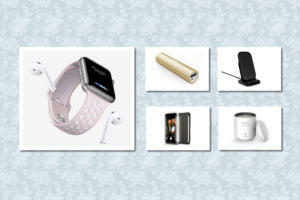 In this week’s iPad case roundup, you’ll find plenty of accessories that keep your tablet safe while looking fabulous. But if you’re more the practical type, we also have a couple cases designed to withstand the two most demanding physical environments known to humankind: military life and toddler play. The Leather Folio (iPad 2, 3, and 4; $35) is made from animal-friendly synthetic materials and features a convenient, Velcro-secured pocket that makes sliding your tablet in and out a hassle-free experience. 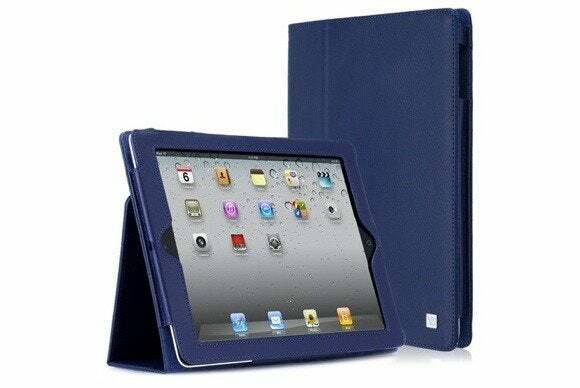 Available in black, blue, green, purple, orange, pink, violet, red, or white, the Leather Folio also sports a cover that can double as a viewing or typing stand and is compatible with the iPad’s magnetic sleep/wake feature. The Laugh and Learn Apptivity (iPad 2, 3, and 4; $35) is designed to let the diaper-wearing crowd loose on your precious electronics without fear of the usual toddler-playtime destruction. The case features protection from sticky fingers and drool—both never distant when there’s an infant around—and comes with a range of free apps to keep your little ones entertained and help them explore the world around them. The Sydney (all iPad models; $45) is a carrying sleeve made from soft, smooth leather with a 100-percent-cotton-twill interior to keep your tablet safe with style. A convenient zipper keeps everything secure during transport; the case is available in teal with brown accents. 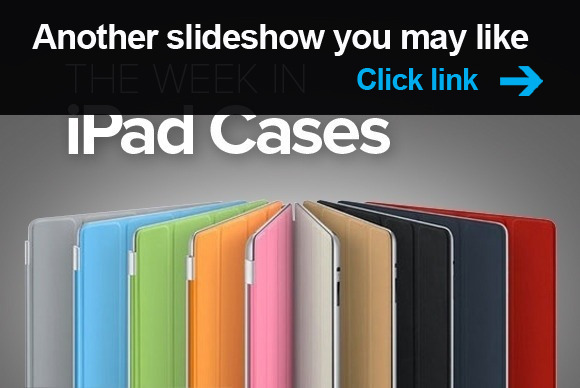 The GripCase (iPad 2, 3, and 4; $40) offers excellent protection alongside a superior grip thanks to its soft-rubber construction and large, convenient handles all the way around. Designed to be used by children and adults alike, the GripCase comes in black, blue, green, purple, or red. The SmartFold (iPad mini; $40) features a foldable front that can double as a viewing or typing stand in landscape orientation, and is compatible with the iPad mini’s magnetic sleep/wake feature. The case comes in black or white leatherette. The Universal L Folio (all iPad models; $35) is designed to fit just about any tablet in the ten-inch range—including, of course, the iPad. It comes complete with a pen/stylus holder, and its front cover can be flipped around to double as a viewing or typing stand in landscape orientation. The Folio Mini (iPad mini; $50) offers an ultrathin construction that doesn’t skimp on the protection, with a secure locking system that keeps the corners of your tablet firmly fastened to the case’s frame. A water-resistant fabric exterior keeps the case (and your iPad) looking good. The front cover, which is compatible with the iPad mini’s magnetic sleep/wake function, also doubles as a viewing or typing stand in landscape orientation. The NuGuard KX (iPad mini; $60) uses state-of-the-art gel technology to distribute impact load and offer military-grade protection without the bulk traditionally associated with it. Available in black, the case features a hard outer shell for maximum durability and grip. The LeatherFolio (iPad 2, 3, and 4; $75) comes in red, black, or brown and is made from genuine cowhide with protective, rubberized corners. The front cover, which is compatible with the iPad’s magnetic sleep/wake feature, flips around to double as a viewing and typing stand in landscape orientation. It features several convenient card pockets on the interior. If you enjoyed this week's roundup of iPhone cases, check out the previous edition, A day in the life.